You could easily spend well north of $1,000 on a new Windows 10 laptop, but if your computing needs consist primarily of basic productivity tasks—like editing text documents and spreadsheets, and browsing the web—you can get away with spending much less. 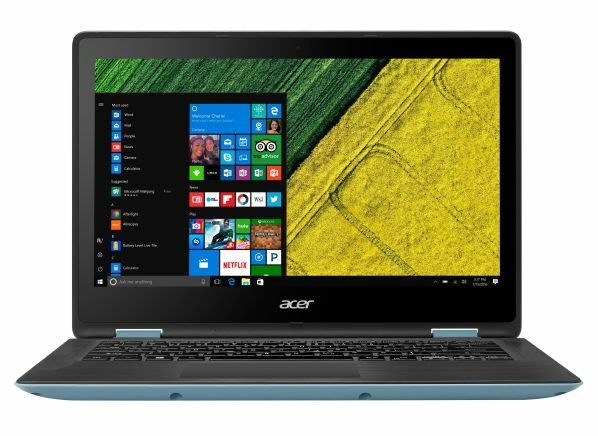 Around $300 will get you a perfectly capable Windows 10 laptop from a well-known company such as Acer or HP. Compared with their more expensive counterparts, these laptops typically feature slower processors and less hard-drive space and memory (RAM), which means they’re not as well-suited for heavy tasks like editing video or playing high-end games. These laptops also tend to be on the bulky side: Sure, you’ll be able to take them with you from room to room in your house, but regularly taking them to the local Starbucks may get old after a while. Every year at Consumer Reports our experts test at least 100 laptops in various sizes and at a range of prices, from inexpensive Chromebooks (a kind of laptop that runs Google’s Chrome OS) to pricey desktop replacements. That’s a lot of laptops, and it helps us better understand the trade-offs consumers face when considering a new laptop. So while the following laptops aren’t our highest rated overall, they absolutely will get the job done for someone who’s working with a $300 budget. One additional note: The following list doesn’t include any Chromebooks because they’re sufficiently different in terms of what software they can run. For consumers considering a Chromebook we have a separate list of models we think are worth highlighting. Beyond this, our testers appreciated the Spin 1’s lengthy battery life of more than 14 hours in our lab; its large, comfortable keyboard; and its variety of integrated ports, including HDMI (for connecting to an HDTV), SD card, and three USB 3.0 ports. Are there any trade-offs? Sure. The Intel Celeron N3350 processor certainly isn’t the fastest to pass through our labs. You get only 4GB of memory (RAM) and 32GB of hard drive space. In practice that means you probably won’t be able to run too many apps at the same time without slowing things down, and you’ll have to be judicious about which multimedia files you store locally. Everyday productivity files—Word documents and the like—will be fine, but downloading a ton of audio or video files could lead to problems. Good thing we’re living in the age of Spotify, YouTube, and Netflix. 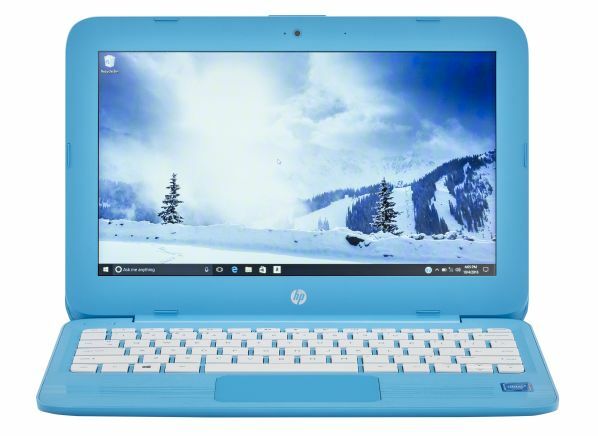 The HP Stream 11 costs around $200, giving you a chance to buy a Windows 10 machine for less than most Chromebooks cost. The laptop has a slim 4GB of memory (RAM) and just 32GB of solid-state storage: As with every machine listed here, this is a laptop for browsing the web, posting on social media, and streaming movies. Don’t go trying to play video games and do 3D modeling on it. But this 11.6-inch laptop provides 12 hours of battery life in CR testing, which beats the performance of many higher-priced laptops in our ratings. You’ll want to double-check the model number before you buy because there are a few older, similarly named models floating around. Another laptop on the small side, the 10.1-inch Lenovo Miix 320, available online for a little more than $200, ticks many of the same boxes as the Acer Spin 1 and HP Stream 11—there’s enough here to get everyday productivity work done, but consumers with more demanding needs should look elsewhere. And what is here? You’ll find an Intel Atom processor, 64GB of solid-state storage space, and 2GB of memory (RAM)—yes, just 2GB. Those are modest components: The low-power Atom processor will make, say, applying photo filters a bit of a chore, and the small amount of memory means you won’t be able to have too many apps open at the same time before everything slows to a crawl. But if all you’re doing is everyday productivity work with Microsoft Office or Google Docs, browsing the web, or streaming audio or video, the Miix will hang in there. One final point: At 2.3 pounds and with a battery life our testers measured at more than 9 hours, the Mixx could make a decent travel companion for consumers with modest needs. 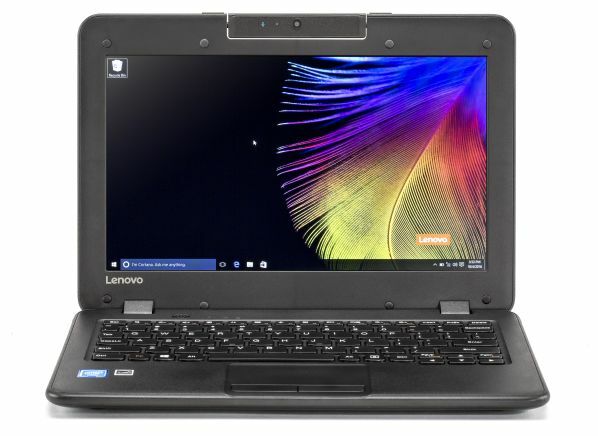 A mere $160 will get you the Lenovo N22, making it the least expensive laptop currently in our ratings. As with the rest of these budget models, you’ll find modest specs to match the modest price. How modest? An Intel Celeron processor, 4GB of memory (RAM), and 32GB of storage—good enough for typical productivity tasks but unlikely to be useful if you need to manage a large photo database. And while 32GB is on the small side, it is of the solid-state variety, meaning files will zip around faster than if you were dealing with a hard-disk drive. In terms of portability, the N22 more than holds its own. Weighing in at 2.7 pounds and with a battery that lasts more than 9 hours, you’ll be able to take this to the local Starbucks without needing to sit next to a power outlet. 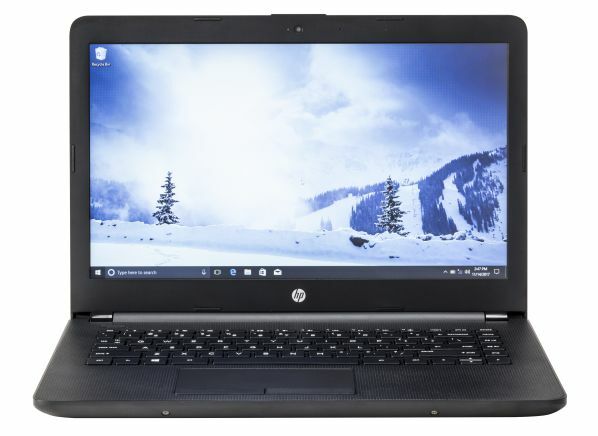 The HP 14 comes in at less than $200, like some other laptops on this list. As implied by the name, the HP 14 has a 14-inch display that our testers found to be adequate for everyday use, though not a standout. The rest of the specs are on the modest side, which should come as no surprise given its price: An AMD processor running at 1.5 GHz starts things out, followed by 32GB of solid-state storage and 4GB of memory (RAM). Will it run the likes of Microsoft Word and Google Chrome without problems? Absolutely. Will you want to edit your latest batch of family vacation photos? Another computer might be better-suited to that. But if a budget-priced laptop with a roomy display and decent battery life (slightly less than 8 hours) is on your radar, you could do worse than the HP 14.